This is a drastic fanedit of the movie MIRRORS. About one third of the movie has been removed for a much more intense horror ride. Especially the lame family horror finale is gone completely. Get ready to be scared. 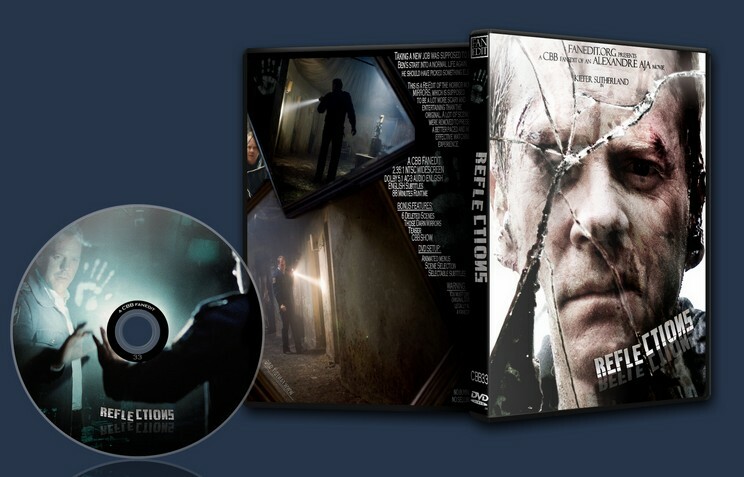 Mirrors is a very clichÃ�d horror movie that kind of destroys itself right from the start and continues with inconsistencies and scenes that are meant to be scary, but are not. The original feels like a mixup of a lot of things we have seen before – hundreds of times. Yet it still had some great ideas, a good cast and good special effects, which could be used to turn it into a way more believable and much less over-the-top horror movie. The pacing has been improved and the finale will be a completely new experience, because the climax has been moved. The fanedit comes in all different coloring for a colder and clearer tone. 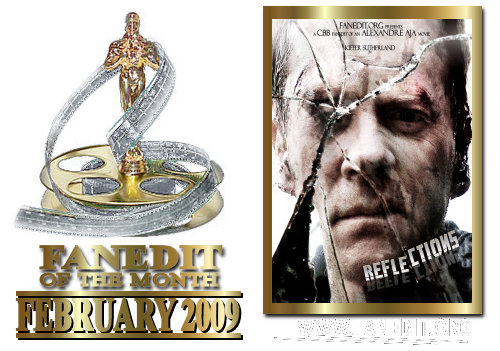 Fanedit history and making: Right ahead after watching the original I knew that this was not just a bad horror movie, but that I wanted to do something with it, create a fanedit from it to make it more consistent and scarier – and maybe even worth watching. My first idea was to delete the first night watchman beginning and the mirror world ending and the most offensive (if not stupid) parts of the family horror finale. In the end and after 7 drafts it got a whole more and quite different to that. The first night watchman is still gone, but anything else is so different now, lots of little cuts to help either the pacing or the plot and especially to remove the head shaking moments that I endured, when I watched it and could not believe what was presented to me. Draft 6 was almost a complete one, but then I created the special feature about the credibility of a villain and came to the result that my edit needed to be more drastic, which resulted in another 3 minutes gone. The hardest part was the Anna demon fight, because it took so long and yet was never really thrilling or scary to watch. This fight turned out to be quite short now, but very effective in its new presentation. There is an unrated version of this movie available which contains most of all a longer “rubber chin” scene. The scene is in the original already quite disgusting, so I decided to not make it longer, as this did not add anything to it. The creation of this fanedit was quite a tough one, because the image in 23.976 gave me a hard time through interlacing issues, which when deinterlaced resulted in flickers, stutters and jumps. The final version is not 100% perfect, but the best I could come up with for all the many ways I tried. 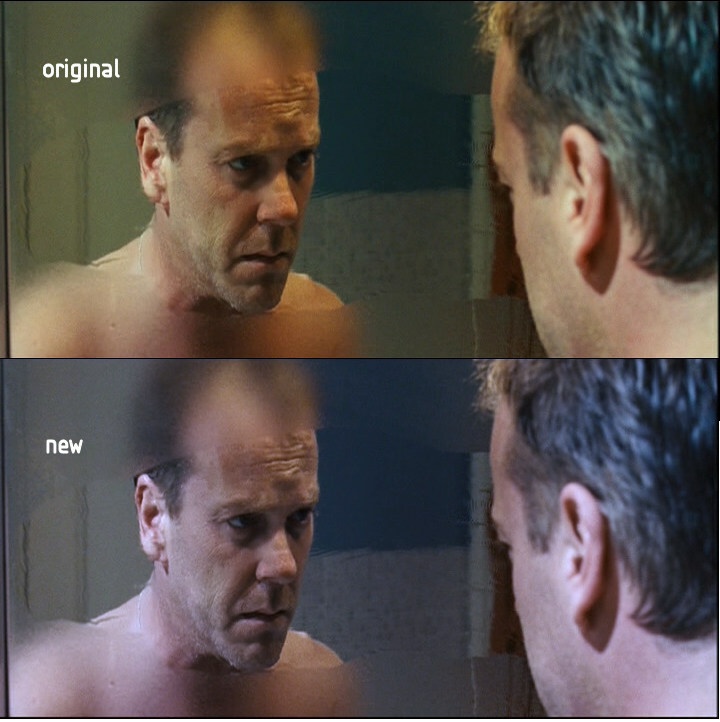 - recolored the movie (blue +40%, desaturated 30%) to get rid of the yellow tinting. Wow! What a great fanedit! I have never seen the original theatrical release, and judging from the deleted scenes Boon put in the bonus features, I’m very glad I didn’t waste my time with it. The edit itself is flawlessly executed (I didn’t notice any of the video issues mentioned in the description, and I AM a nitpicker) and I would have mistaken it for a theatrical release if I didn’t know. This is how to edit! As cinema it’s far from great and very dÃ©jÃ vu (I loved the first half… back when it was called The Shining) but it’s very watchable, holds interest and effectively builds suspense, which it wouldn’t with the deleted stuff back in. This may have originally sucked! The “family horror” sequence particularly, whould have annoyed me to no end. There are few commonplaces I detest more than children in danger in a Hollywood horror movie, because you KNOW they won’t dare to actually kill them off and something or someone will always save them, so there’s no suspense. But, everything Boon removed sucked. He removed a lot, and it sucked a lot. I only lament he kept the dove fake scare near the beginning. The extra features are very nice. Apart from the deleted stuff and the usual CBB overview, there’s a very nice featurette about the mirror demon that feels very professional and reminded me a lot in style of the ones they used to air in Calle 13 (a Spanish TV channel specialized in horror and Sci-Fi). This actually replaces Red Dragon as my favorite CBB fanedit. Get back to it, Boon! And it gets one of my rare 10/10 ratings. -Who had the idea of using AlbÃ©niz’s “Asturias” as ominous horror music? -And who had the idea of incluiding a New York landscape shot that displays the World Trade Center in a 2008 movie set in the present? Can’t say anything that hasn’t been said before. 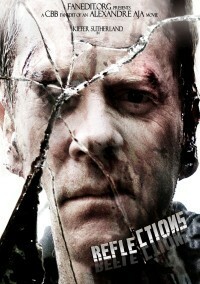 Best horror movie ever with Kiefer: now. What I liked best about it is the new ending without the family and the toned down Anna fight. It was short, but frightening and thrilling. My g’friend loved it. So I loved it. And from watching one would never guess this was ever tempered with. You are a magician. This was fantastic! An incredible achievement over the lame original. A solid improvement over the original yet the source material still retains its disadvantages. The editing is faultless, as is the sound design but I feel some more poorly acted scenes could have been removed such as the cliched and poorly acted/directed opening argument with the estranged wife. Removing this scene and cutting directly to Ben’s first night as a security guard would have added to the isolation and loneliness of the main character.